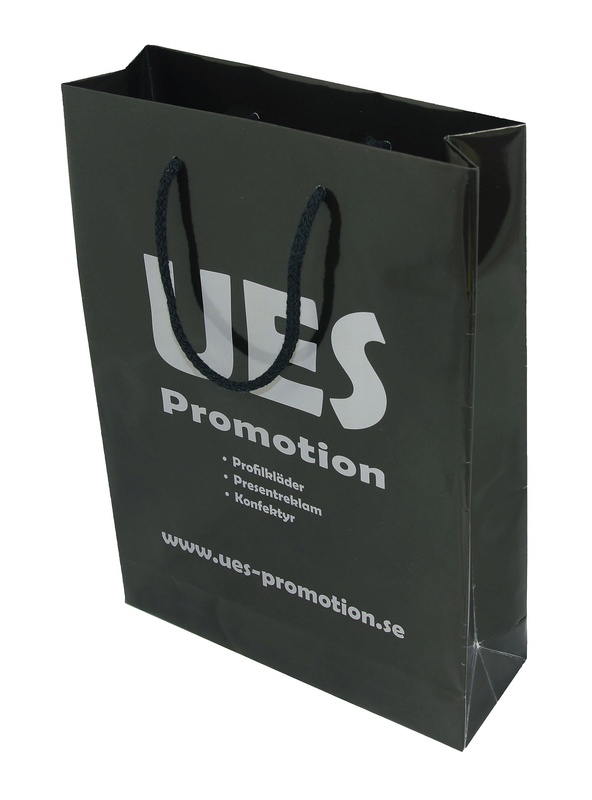 The bag is folded flat for transport purposes. 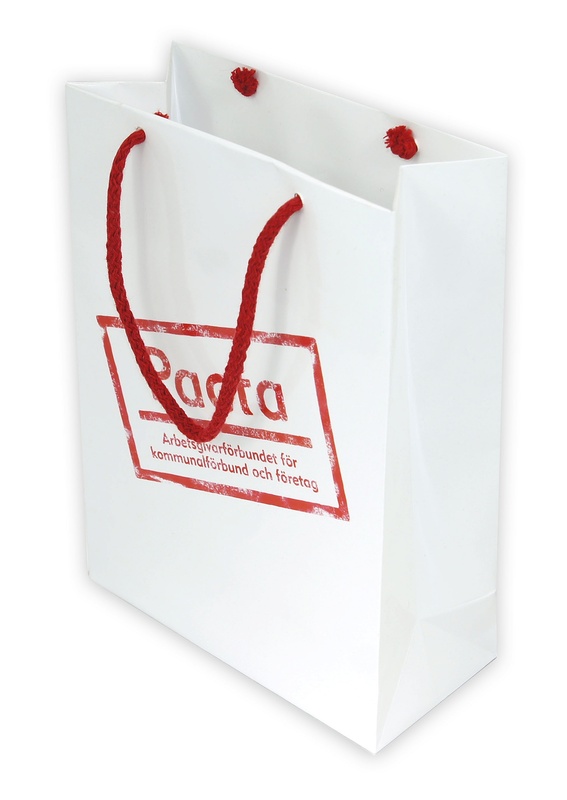 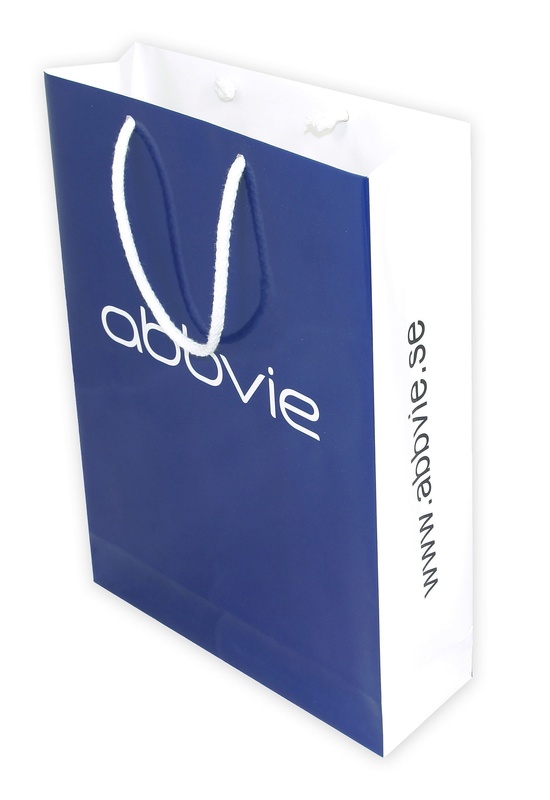 Comparison of the finishing effect of laminated paper bags. 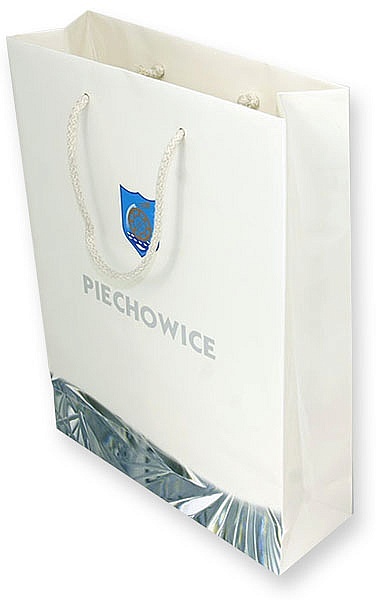 Pattern of strings used for the production of laminated paper bags. 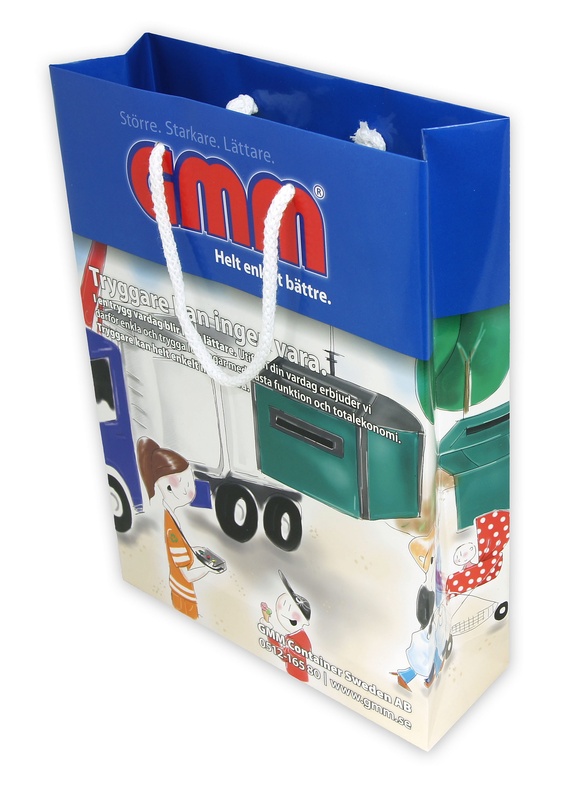 The distinguishing feature of our bags against the background of cheap offers on the market is contracting. 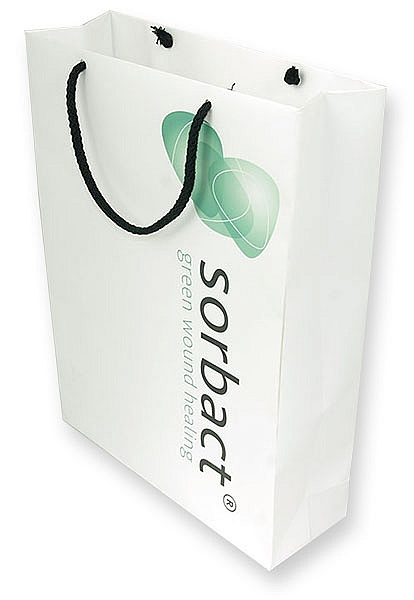 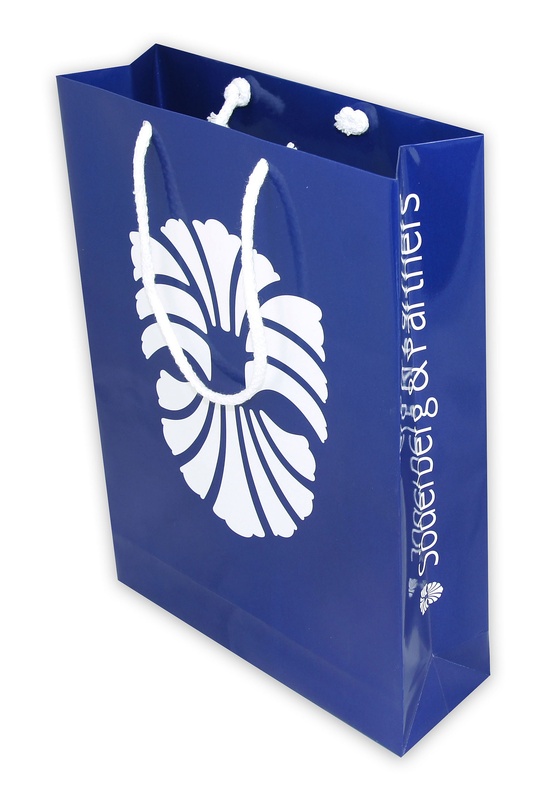 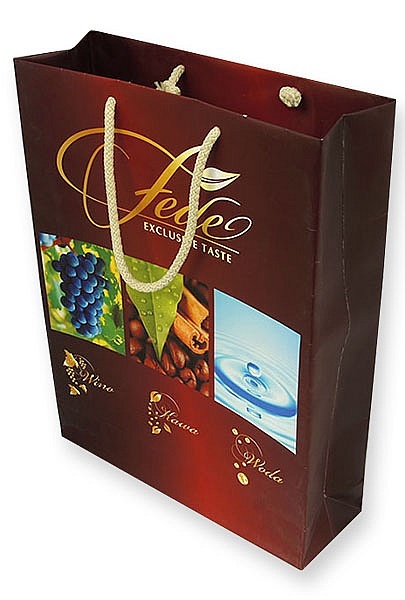 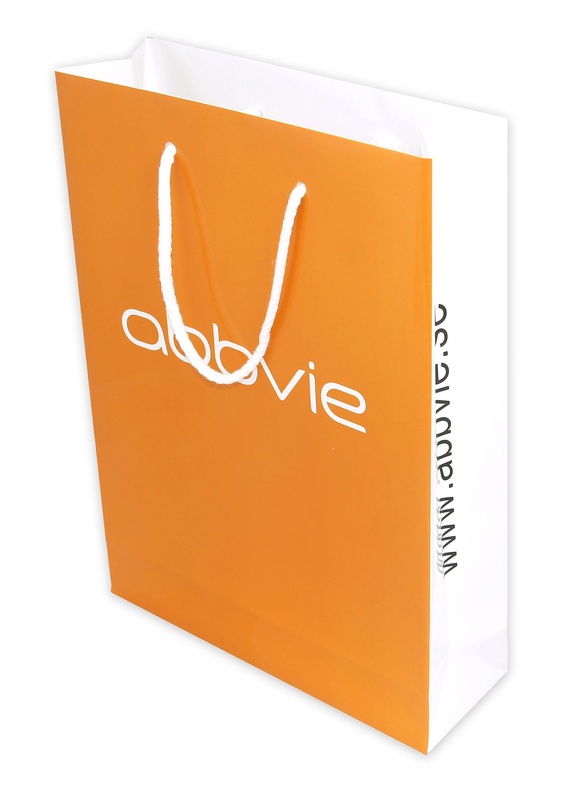 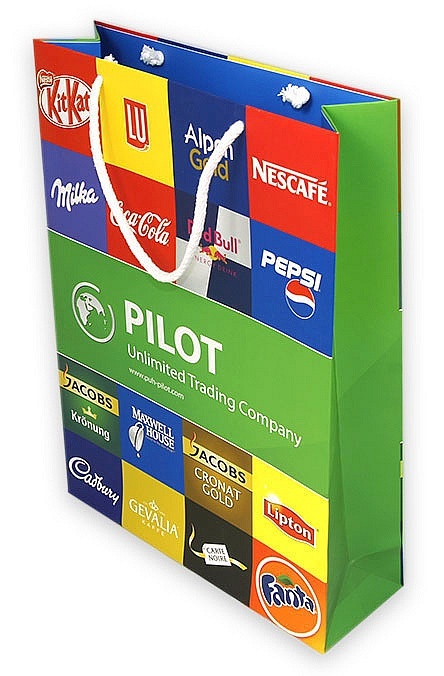 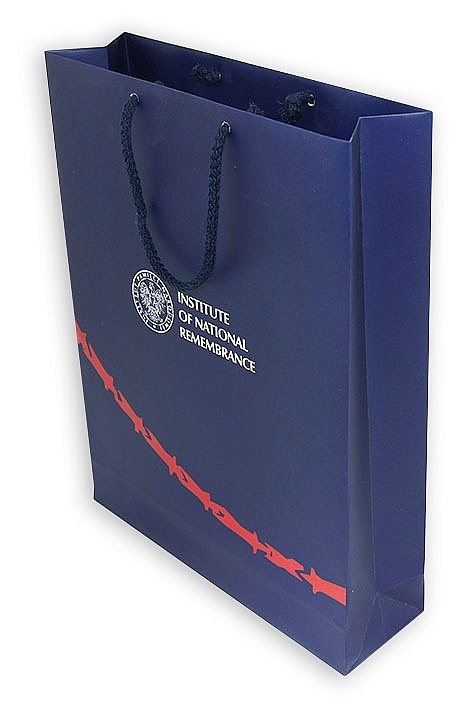 The bags are glued from paper previously printed in offset technology by the customer's pattern in contrast to the situation when this low-quality imprint is made on a ready-made Chinese bag. 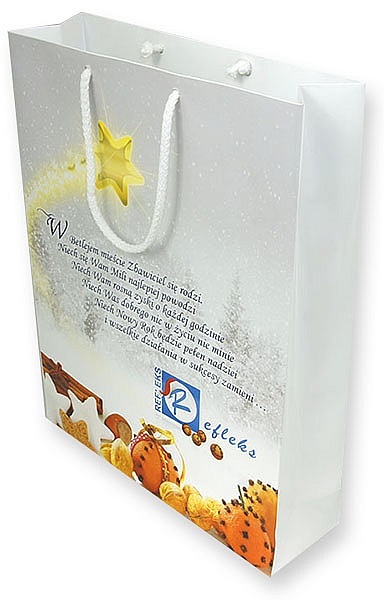 Thanks to this difference, the bag looks exactly as the customer wishes. 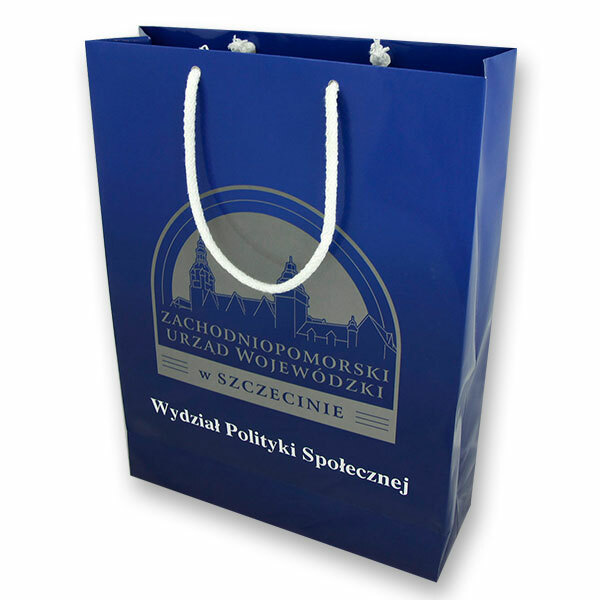 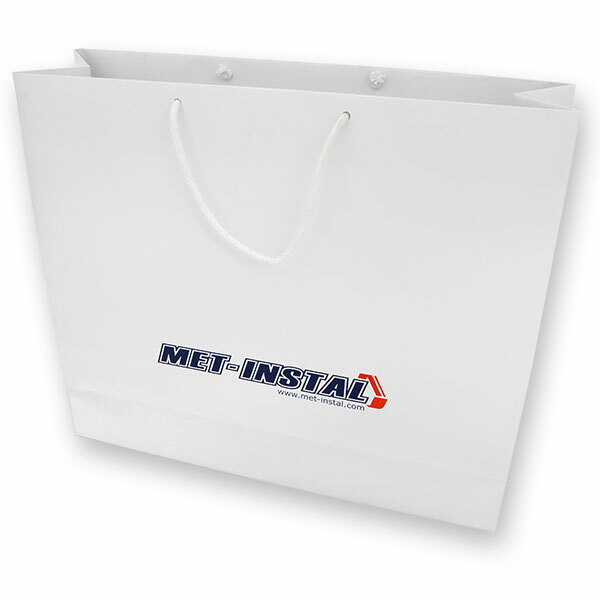 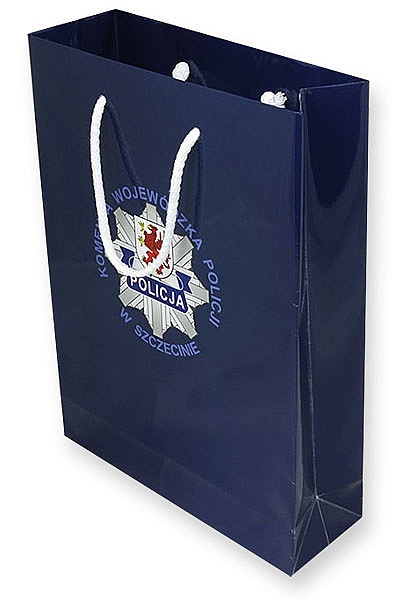 Our bags are refined to the smallest detail, meet the high demands of customers from Poland and Western Europe. 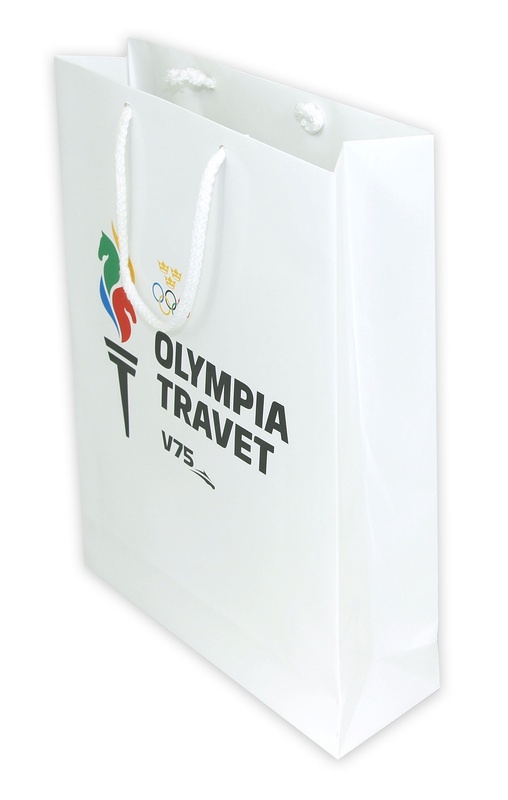 Lamination with matt foil + varnished selective with gloss of selected details. 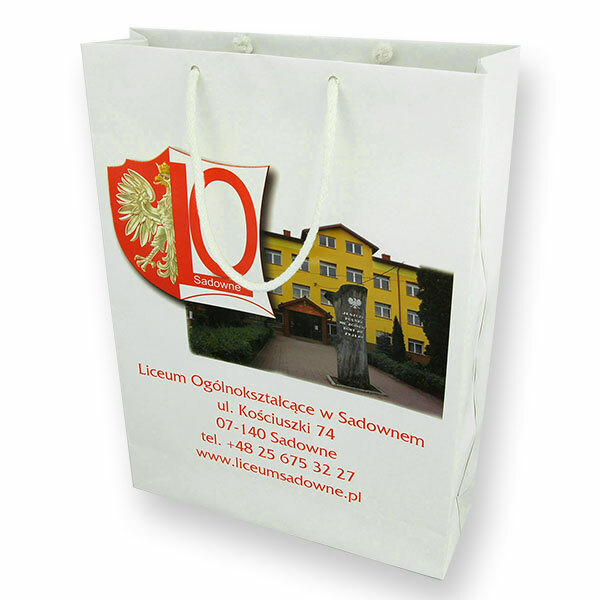 The interior of the bag is printed. 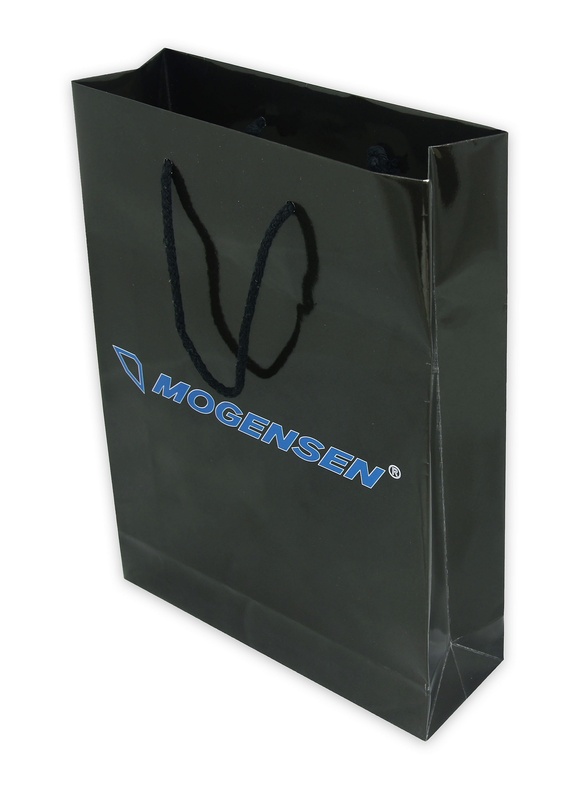 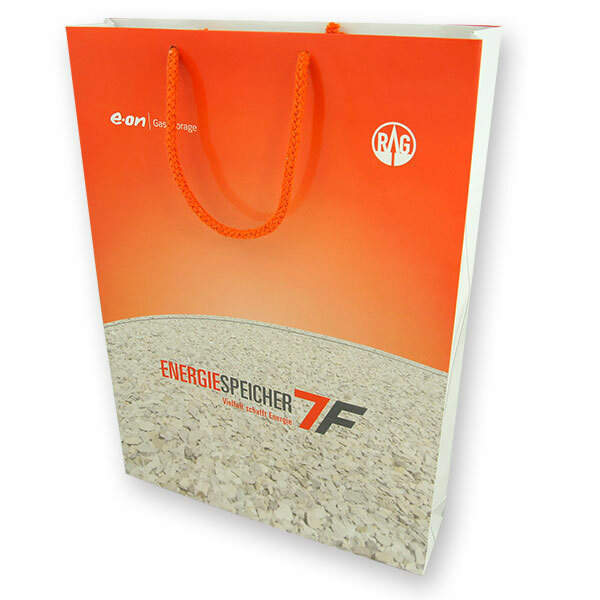 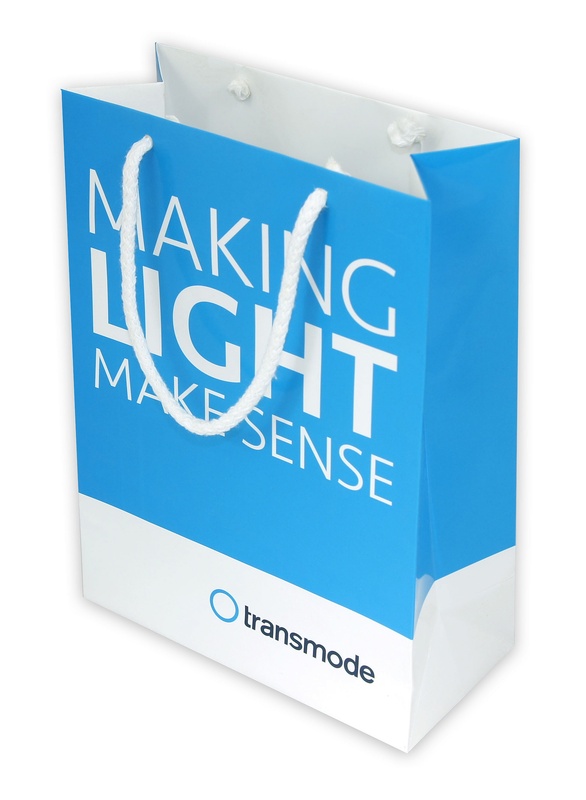 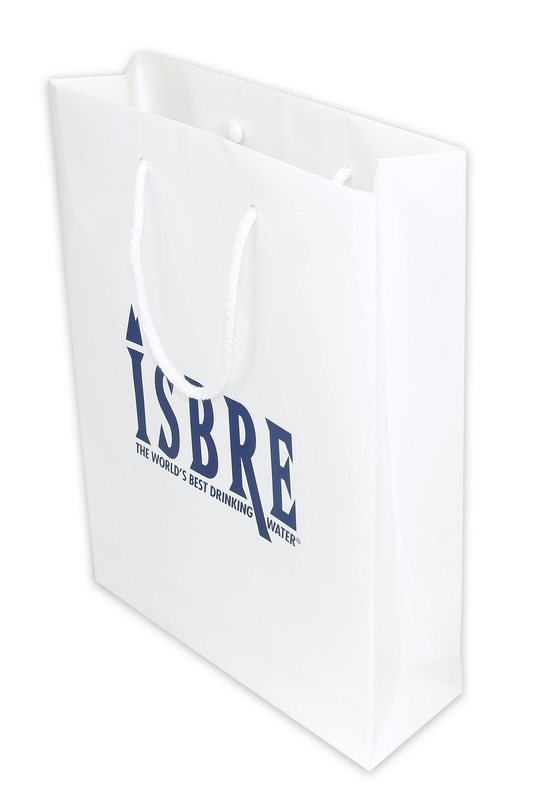 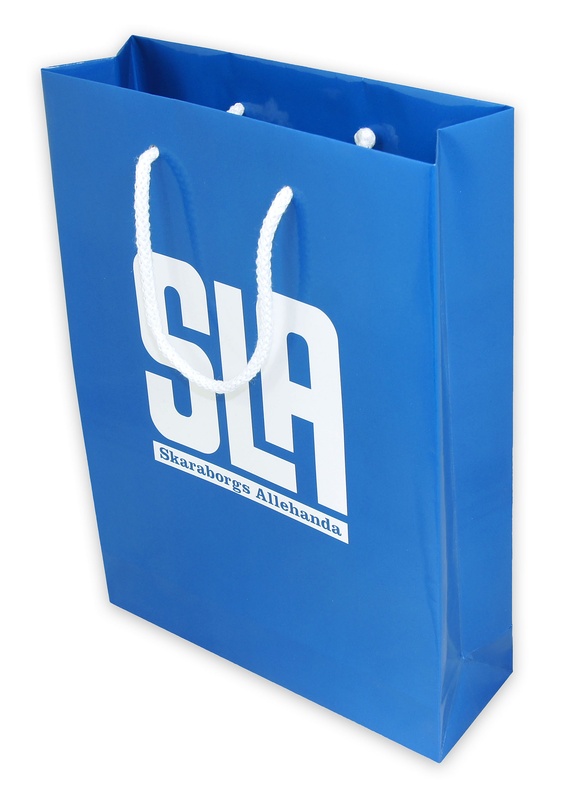 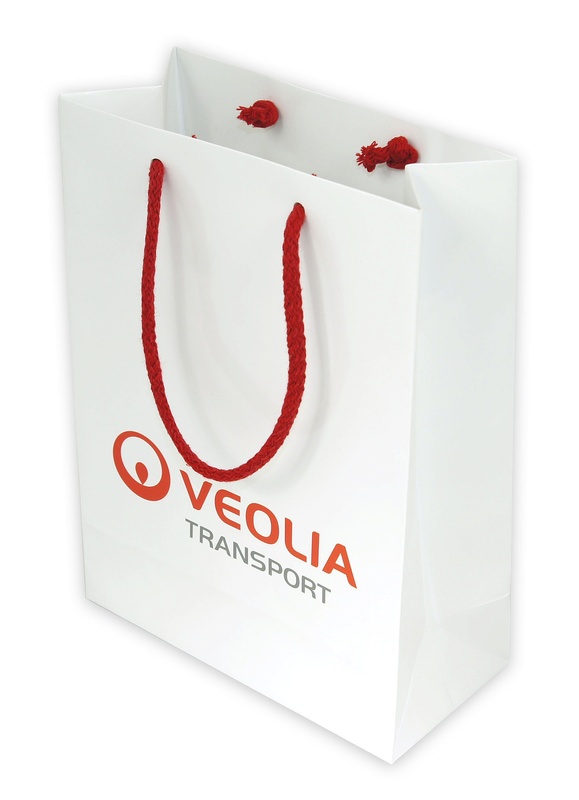 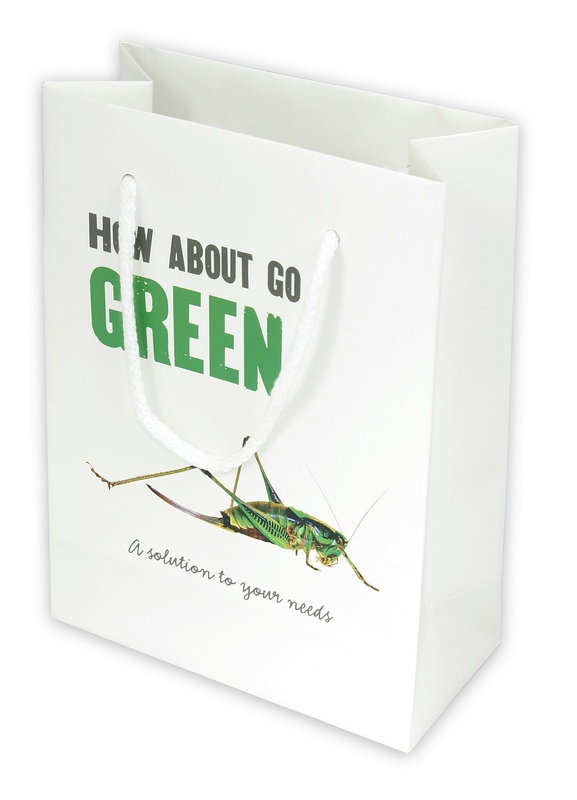 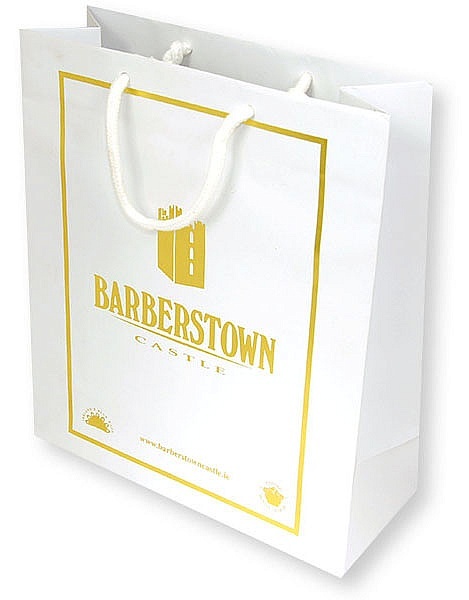 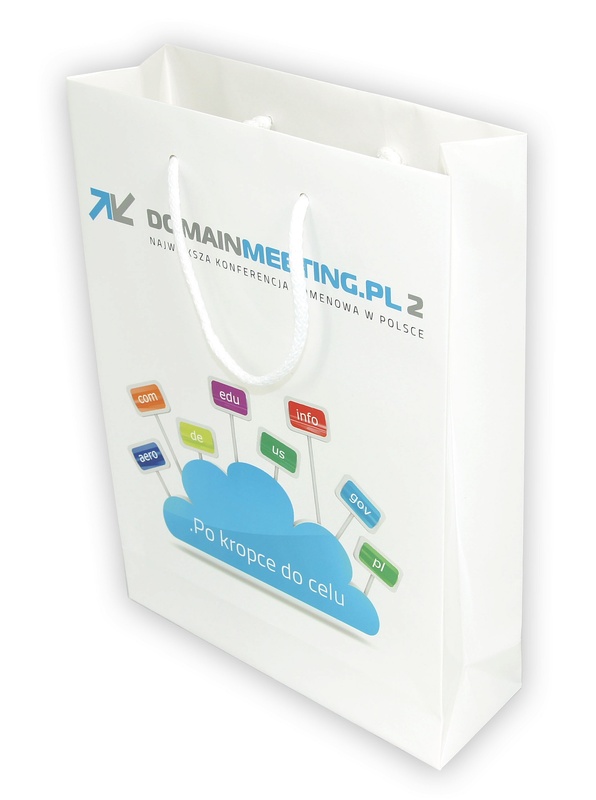 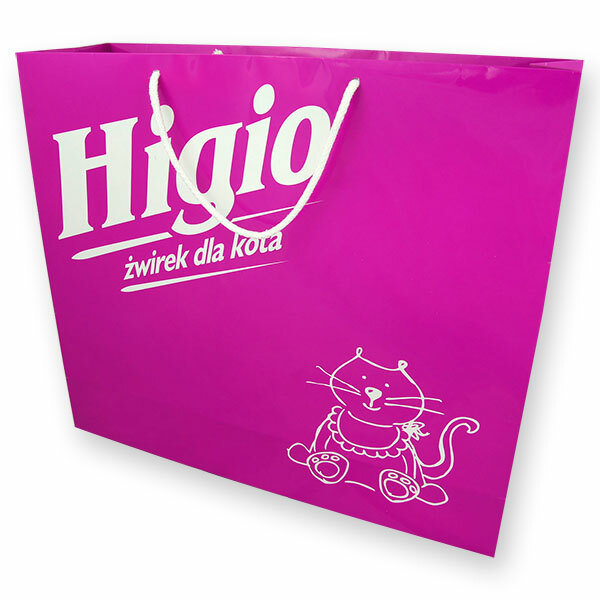 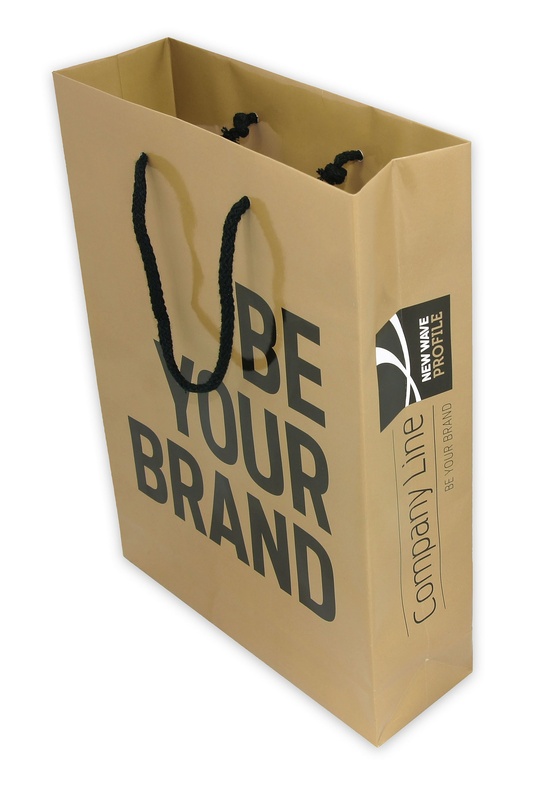 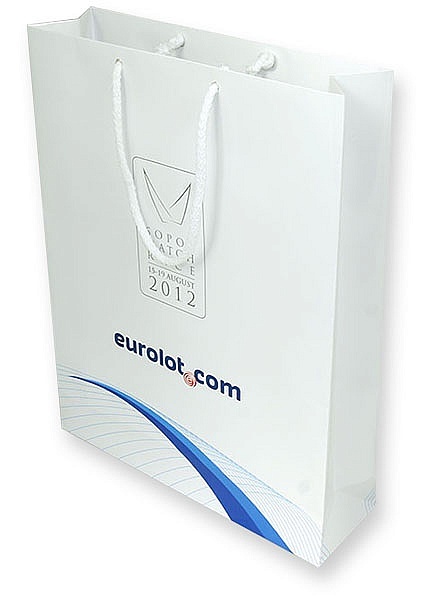 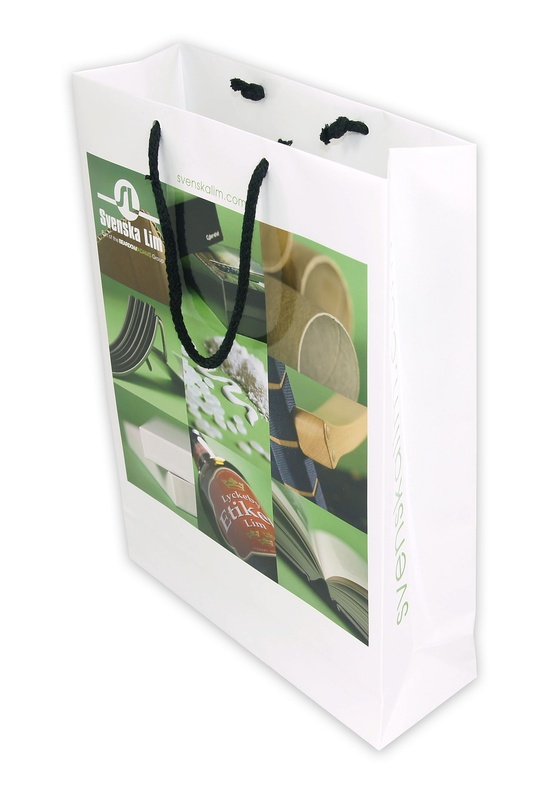 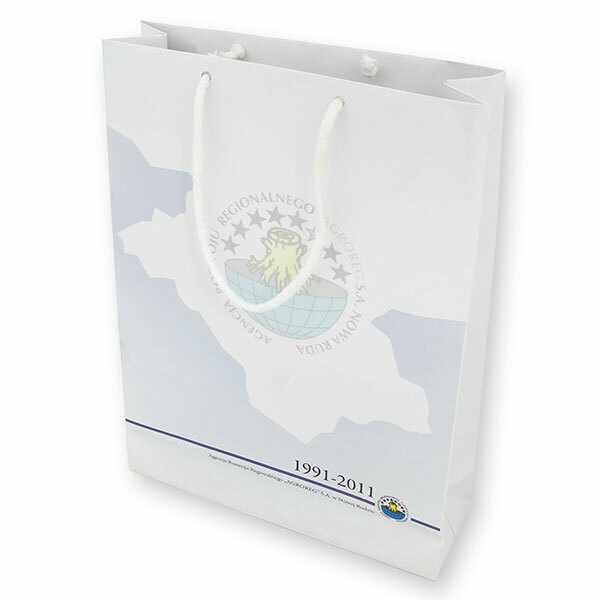 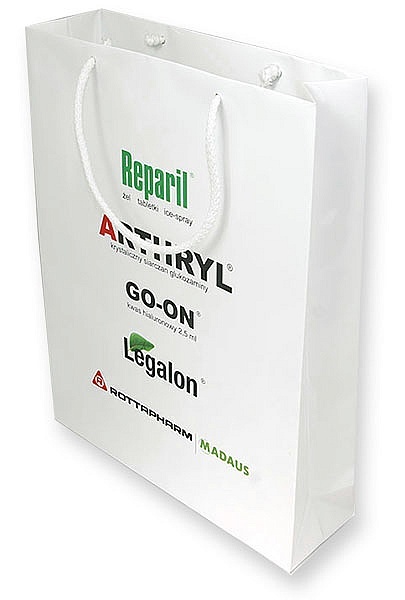 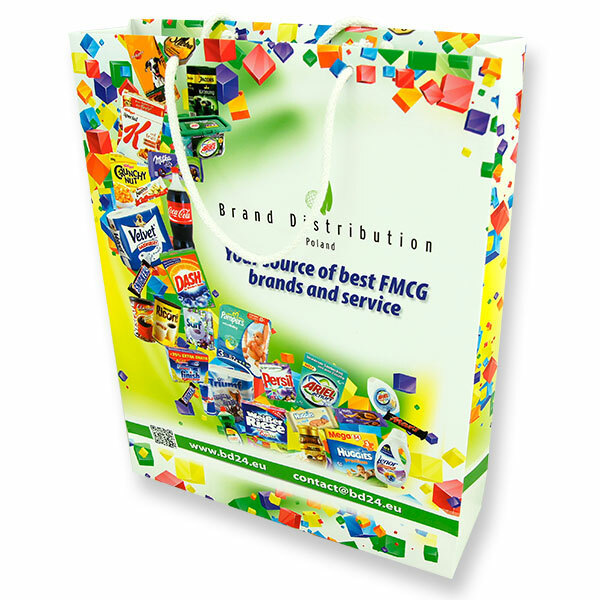 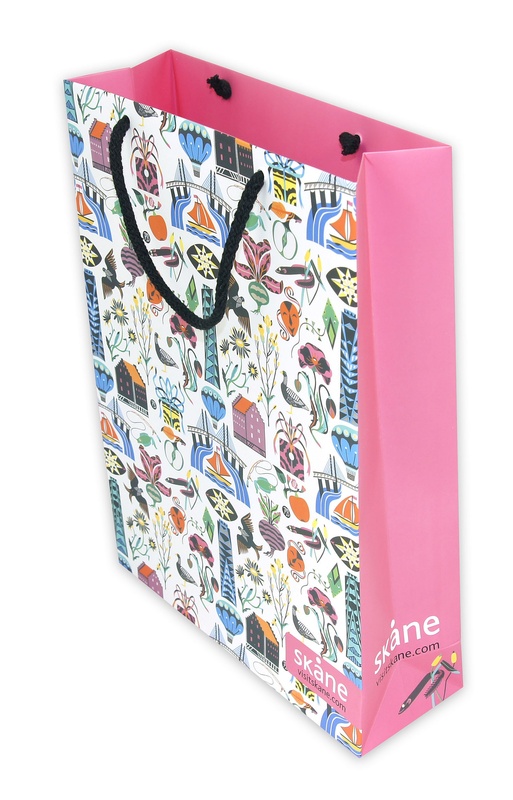 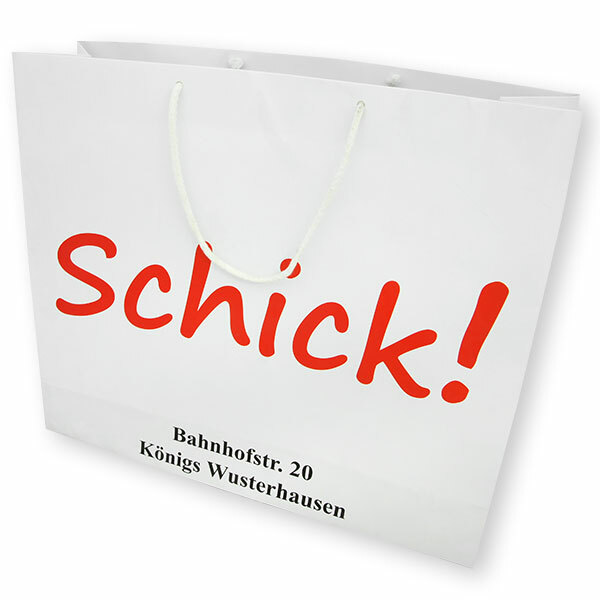 For the production of bags, we use high quality, 3 times coated matte paper 200g. 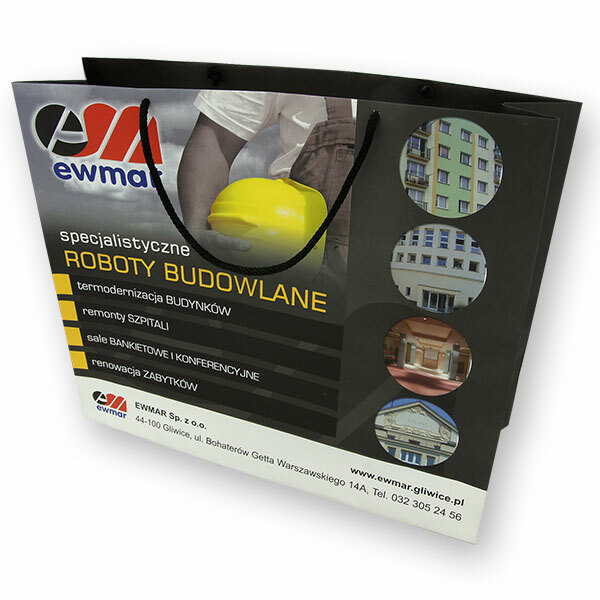 Cardboard 450g - bottom and upper belt bag. 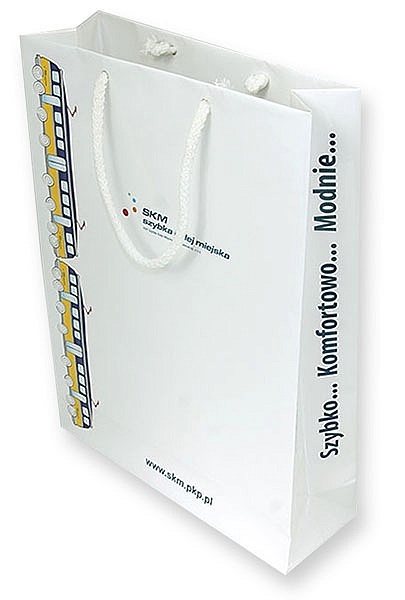 CMYK Euroscale color (photos, graphics, logos, etc.). 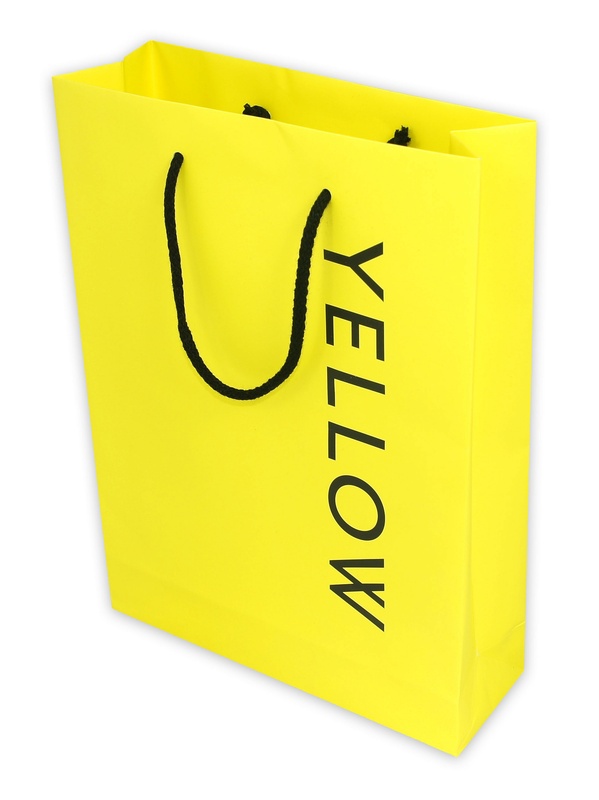 Pantone special colors (gold, silver, others not available in CMYK). 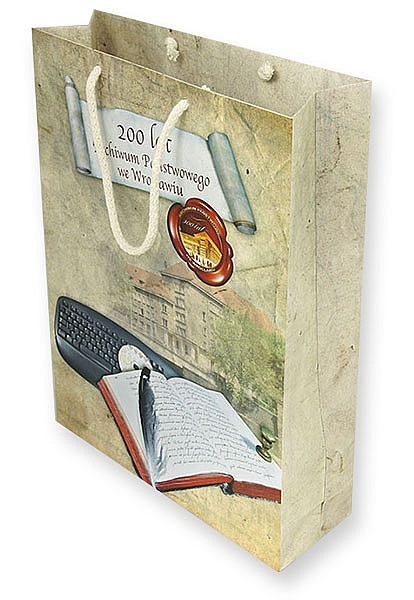 Outside - the whole surface of the bag. 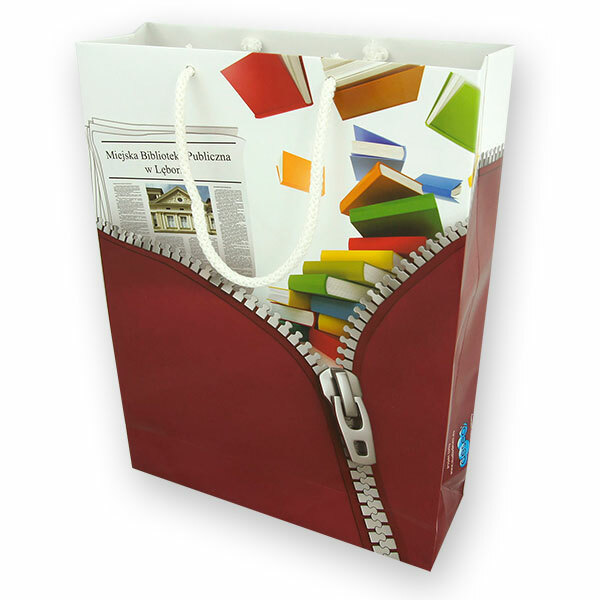 Outside and inside - the entire surface of the bag. 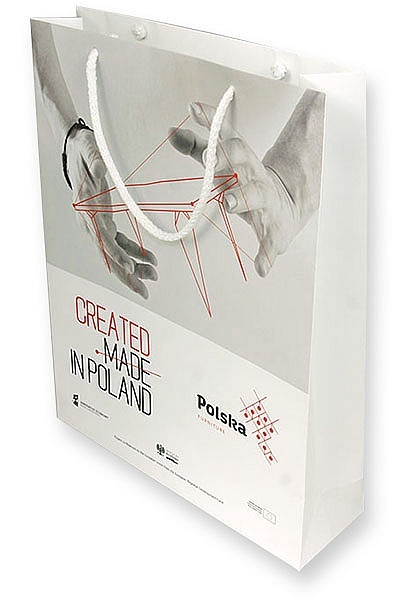 We make cotton or polypropylene string. 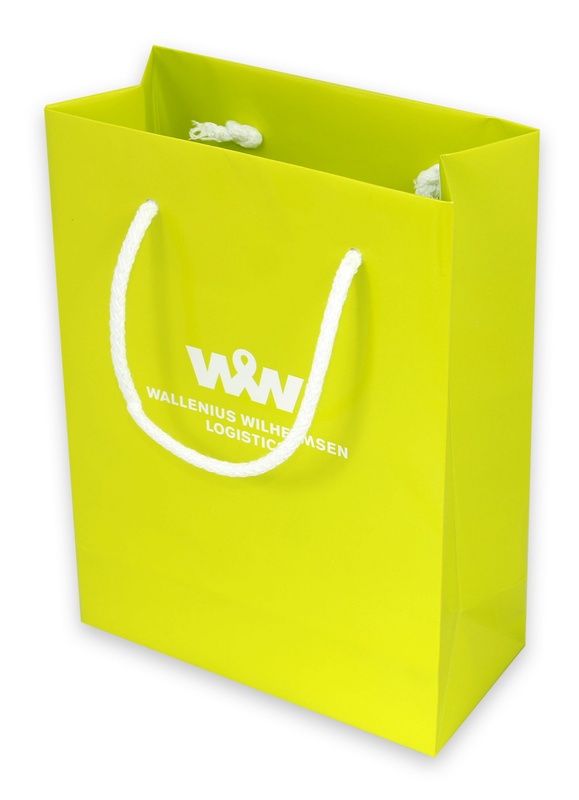 The offer includes a wide range of colors to choose from. 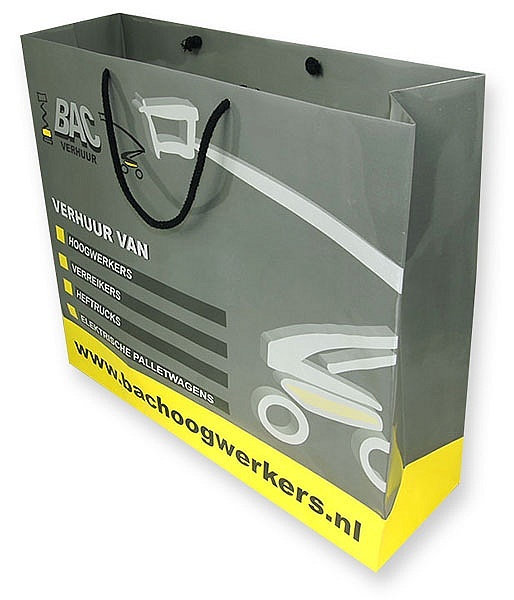 At the ends of the handles aesthetic fastenings in black or colorless are clamped, replacing unprofessional-looking knots popular everywhere. 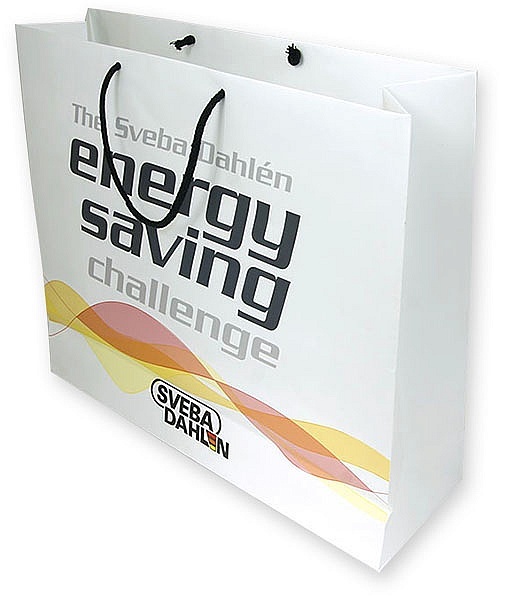 The finished bags are packed flat to strong 5-layer cartons so that they are safe during transport. 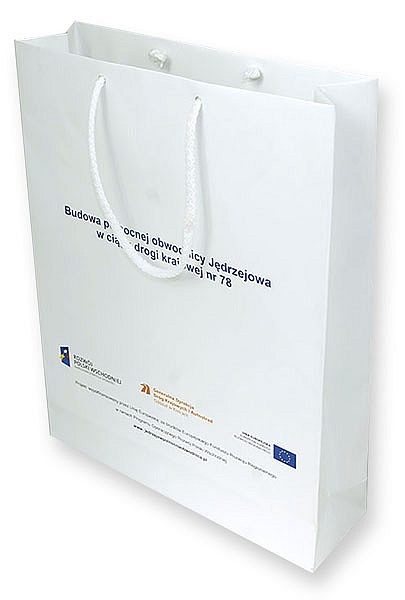 Neutral to the end customer (commissioner = sender). 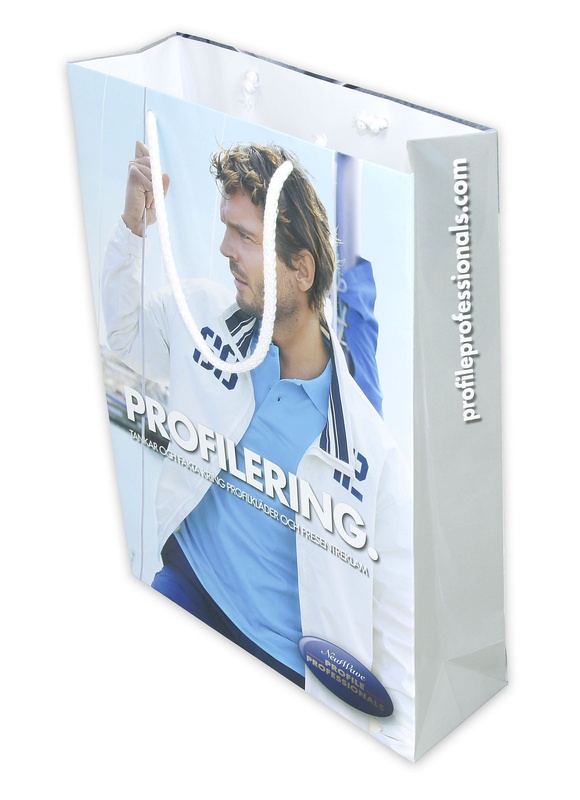 The load capacity of the bag is 10 kg. 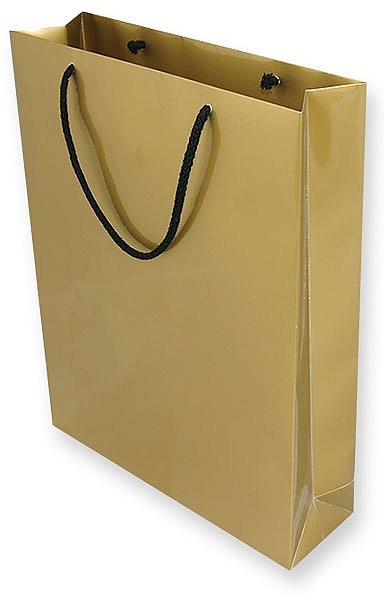 Not suitable for carrying items with sharp edges.